It’s one thing to be concerned with what you ingest, but what about the products you’re using ON your body? We’ve all seen, heard, and tried to pronounce some of those mysterious ingredients on the labels of our toothpaste, shampoos, and soaps….but do you really know what they’re all about? I’ve heard throughout the years to avoid sulfates, parabens, and others, but didn’t always know the extent to just how harmful they were. Forgive me if you’ve heard this all before, but I’m still amazed with how people are still reaching for their Crest toothpaste. “Major loopholes in the U.S. federal law allow the $50 billion cosmetics industry to put unlimited amounts of chemicals into personal care products with no required testing, no monitoring of health effects and inadequate labeling requirements. In fact, cosmetics are among the least-regulated products on the market,” (The Campaign for Safe Cosmetics). Did you know that 89% of all ingredients in cosmetics have not been evaluated for safety? And 1/3 of all personal skin care products contain at least one ingredient linked to cancer? Pretty scary, huh? Did you know that the European Union bans 1,100 harmful or potentially harmful ingredients? The United States government bans 10! It shocks me that lead is still found in lipsticks and mercury is in some mascara brands. So what are some of these ingredients…. Sodium Fluoride – used as rat poison and it’s the main ingredient in most toothpaste. It is a potent carcinogen which can cause teeth mottling (spots/blotches), bone problems, and irritates tissues. Minimal ingestion causes nausea, vomiting, and diarrhea. Large doses of this ingredient may cause paralysis, muscular weakness, and clonic convulsions followed by respiratory & cardiac failure. Sodium Lauryl Sulfate – harsh irritant which may cause hair thinning, builds up in the heart, liver, lungs, and brain. It’s been found to contribute to cataracts and improper eye development in children under 6. Research has shown that this can cause potentially carcinogenic nitrites and dioxins to form in the bottles of shampoos and cleansers by reacting with commonly used ingredients found in many products. Large amounts of nitrates may enter the blood system from just one shampooing. Industrial uses for this harmful ingredient…garage floor cleaners, engine degreasers, and car wash soaps. 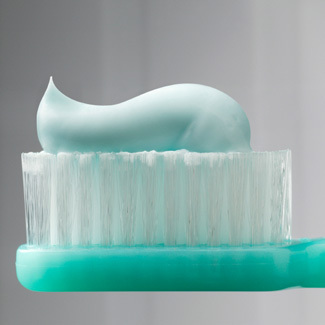 Found in mouthwashes, toothpaste, shampoos, conditioners, and soaps. Diethanolamine or Triethanolamine (DEA or TEA) – interacts with nitrites in the formula to form the potent carcinogen nitrosamine. These have been known to cause liver and kidney cancer. Found in shampoos, conditioners, and soaps. Propylene Glycol – “industrial anti-freeze” and the major ingredient in brake & hydraulic fluid. Can cause liver abnormalities, kidney damage, and may inhibit skin cell growth. Found in shampoos, conditioners, and deodorants. Phthalates – a fragrance fixative; hormone mimic; ingredient plasticizer, used to make plastics soft. Dibutyl phthalate is one of several different common phthalates that are typically NOT listed on labels because they are part of proprietary fragrances. It’s been known to cause fetal damage. Found in lotions, hairspray, nail polish, and perfumes. Talc (talcum powder) – closely related to the carcinogen asbestos. Talc particles have been shown to cause tumors in the ovaries and lungs of cancer victims. Found in baby powder, make-up (eye shadow, etc), and in some soaps. Parabens – butylparaben, methylparaben, & propylparaben. Parabens are a preservative and are powerful in tiny amounts Linked to cancer, endocrine disruption, reproductive toxicity, immunotoxicity, neurotoxicity, and skin irritation. Parabens are found mostly in blushes, lipsticks, foundations, eye shadow, shampoos, conditioners, lotions, and facial & shower cleansers/scrubs. Toluene – helps the color and shine last in nail polish. It affects the central nervous system and can cause headaches, dizziness, and fatigue. It is also a possible reproductive and developmental toxin. Formaldehyde – also found in some nail products – serves as a nail hardener. It is a known carcinogen – also an irritant to the eyes, nose & throat and can lead to dermatitis. Other toxic chemicals found in nail products – xylene, methyl ethyl ketone and acetone, as well as acrylic polymers such as methyl methylacrylate and ethyl methylacrylate. Some more to watch out for…glycerin, FD&C blue dye #1 and 2, Titanium dioxide, collagen and elastin, benzoic acid or benzyl, and 1,4-dioxane. The scary thing about these toxic ingredients is that there are 100’s of synonyms and trademarked names used in store products to hide what they really are! There are many more harmful ingredients…I urge you to check out The Campaign for Safe Cosmetics website (www.safecosmetics.org) to read about the cosmetic laws and how YOU can get more involved. They also have a list of companies who have agreed that safety comes first and do not use toxic chemicals in their products. Another website to check out is http://www.cosmeticsdatabase.com. You can find out where your current products rank (low hazard – high hazard). You can also read the ingredients of numerous products. Oh, and just because the product says Natural or Organic doesn’t mean that it is free of toxins….according to Not Just a Pretty Face, “JASON Pure Natural & Organic, Giovanni Organic Cosmetics, Kiss My Face, Nature’s Gate Organics,” were just a few of the contaminated brands. I admit, I was fooled a handful of times – I saw an organic product and assumed it was safe…I later found out it had sulfates and parabens. It is so important to read the labels!